"Bald cypress, larch tree and Blue Ridge Hall" by L. Michael Hill Ph.D. 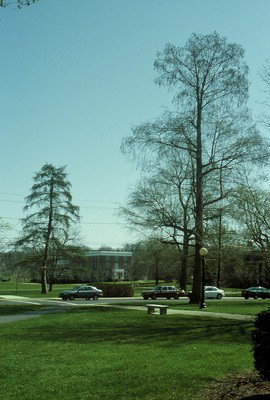 Directly across East College Street from the Larch tree is a bald cypress, Taxodium distichum (Taxodiaceae). Blue Ridge Hall is in the distance.